In our never-ending quest to create websites that are as lightweight as possible, image optimization plays an important role. Poorly optimized images not only increase load time, they also take up precious bandwidth from both users and networks alike. Larger websites with copious amounts of images and traffic can be especially impacted. TinyPNG is a web-based image optimizer that will shrink the size of your PNG and JPG images with minimal loss in quality. The service is especially adept at significantly lowering the size of complex transparent PNG files. ImageOptim is a free, open source app for OS X that will optimize images while also deleting unnecessary meta info. Removing meta also has the side benefit of protecting your privacy. There’s also a lossy minification mode that will aggressively shrink PNG, GIF, JPG and SVG images – including animated PNGs and GIFs. If you use the Gulp task-runner, gulp-image will automatically optimize GIF, JPEG, PNG and SVG images through a script. It’s a great option for those who have lots of images to process. Prefer to use Grunt? Then grunt-image has you covered. Pngcrush is a command-line script that can run on both MSDOS and Linux. The utility will scan your PNG files and try various compression levels and filter methods to reduce file size. Use APNG Assembler to create highly-optimized animated PNG files. This standalone app includes versions for Windows, OS X and Linux. 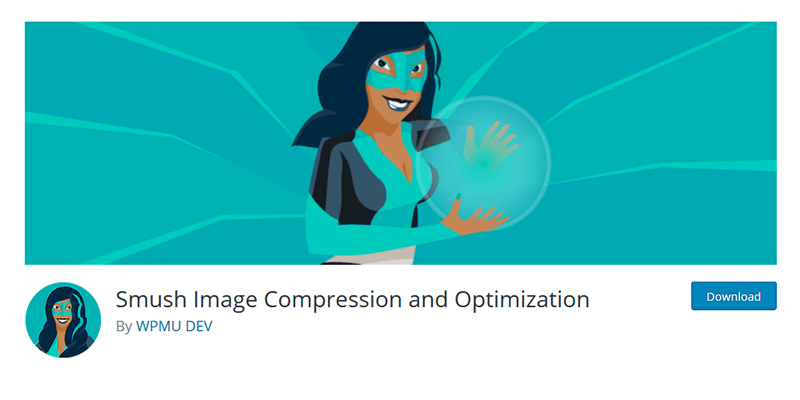 Compressor.io is a free online service that will optimize GIF, JPG, PNG and SVG files. You can choose from either lossless or lossy compression types. 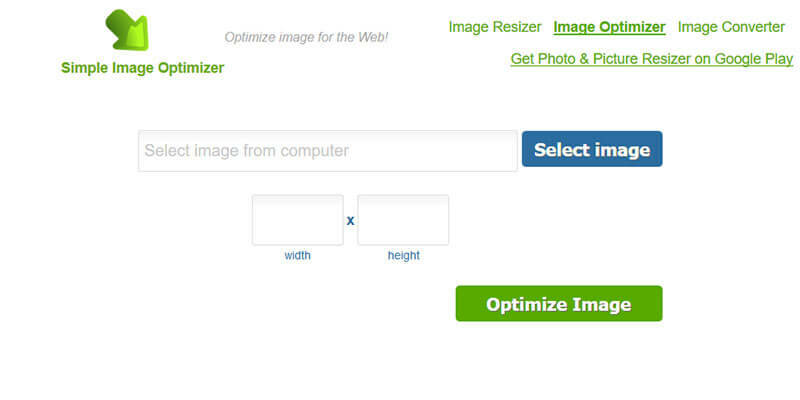 With Simple Image Optimizer, you’ll be able to both optimize and resize your images through a basic web interface. There are also separate options to simply resize or convert images. Smush is a WordPress plugin that can automatically optimize and even resize your site’s images as you upload them. You can also bulk-optimize up to 50 images at once. It’s a very handy solution for ensuring images are optimized without having to lift a finger. Image Optimize is a module for Drupal websites that will utilize image optimization scripts already on your web server, such as OptiPNG or jpeglib. The module will also integrate with some 3rd party optimization services as well. 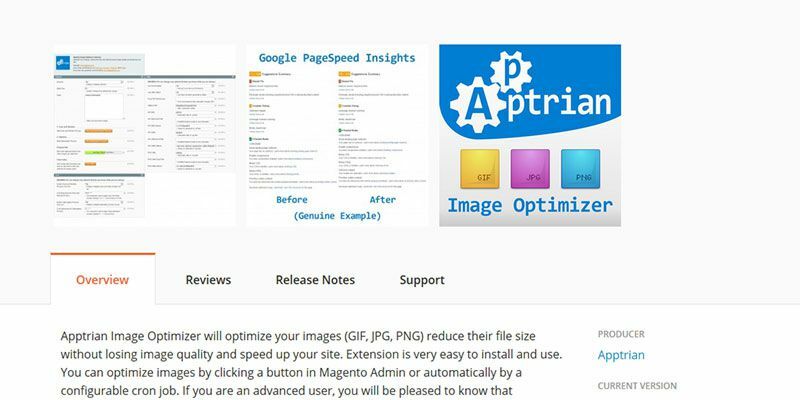 Apptrian Image Optimizer is an extension for Magento that uses lossless compression to optimize GIF, PNG and JPG files. Images can be batch processed and a cron task can be set up to periodically scan for and optimize new uploads. One of the great aspects of the free image optimization tools we looked at is the sheer variety of options available. There are solutions for advanced users who want to exercise a finer grain of control, while some of the more basic options require almost no user input at all. And with bulk image management, you’ll be able to quickly and easily optimize your entire image library. Every bit of optimization counts. Taking a little time to bring your image sizes under control truly can make a difference. Your site’s users (and their data plans) will be glad you made the effort.